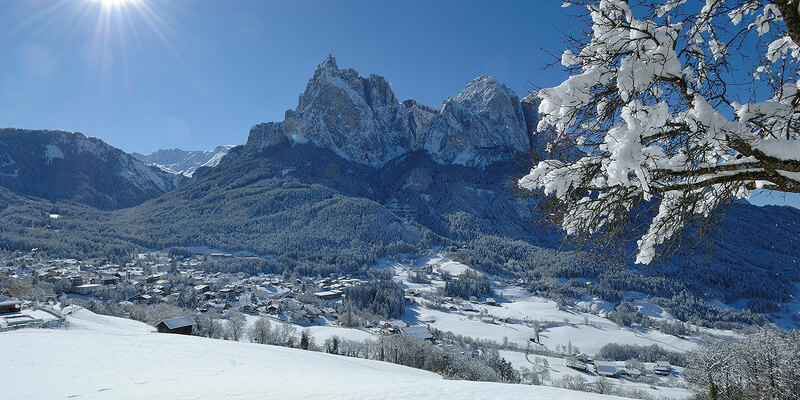 The small mountain village Seis am Schlern is located on a high-alpine pasture at the foot of Schlern Mountain and Seiser Alm. 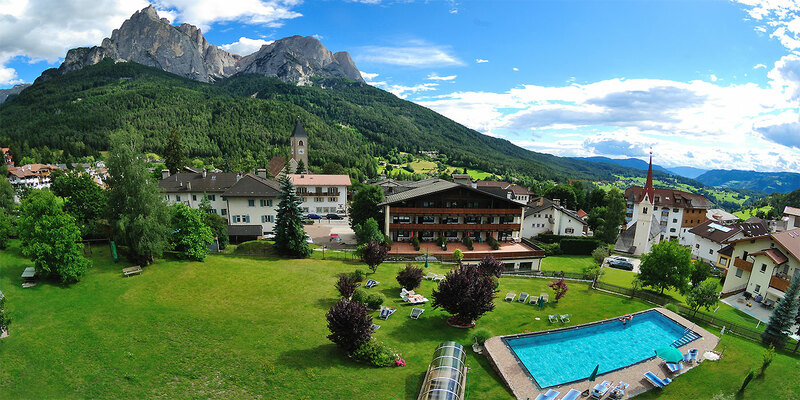 The neat and sunny village of Seis am Schlern is located at an altitude of 1,000 m above sea level, surrounded by the legendary Dolomites, the Schlern Nature Park, and the Seiser Alm pasture amidst the UNESCO World Natural Heritage site. 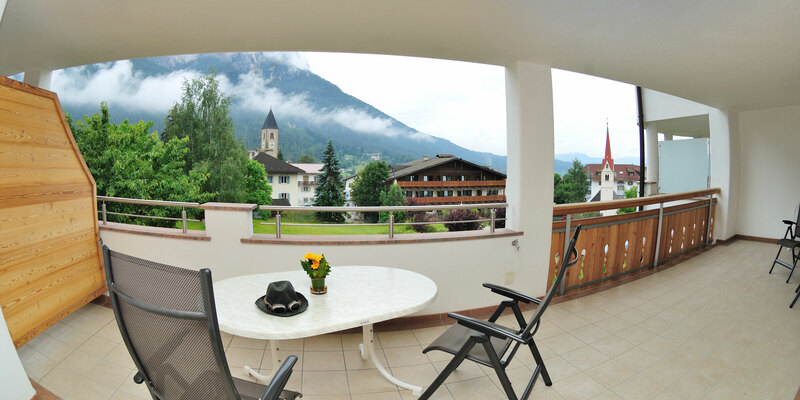 Our holiday apartments enjoy a quiet and sunny panoramic position in the village centre of Seis am Schlern amidst beautiful nature scenery and we await you all year round. 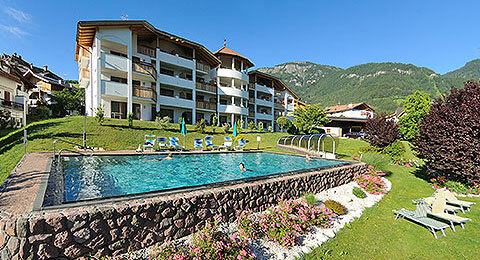 In front of Residence Nussbaumer you'll find an outdoor pool and a large, beautiful garden with sunbathing lawn, which is ideal for recreation and relaxation. 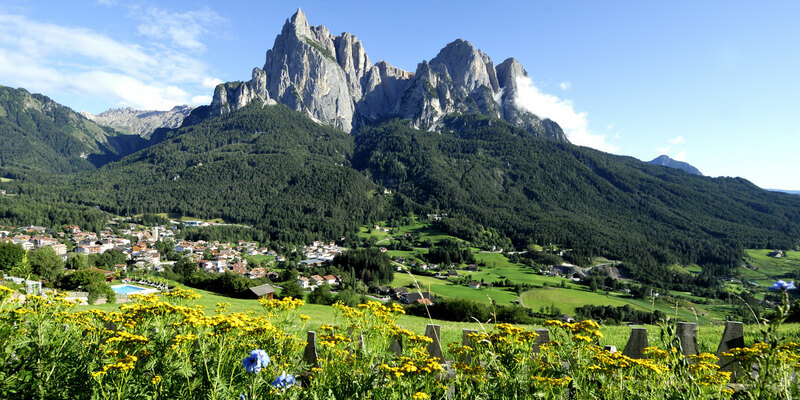 With a surface of 56 km², Seiser Alm is the biggest high-alpine pasture in Europe. Together with the surrounding villages Seis am Schlern, Völs am Schlern, Kastelruth, and Tiers am Rosengarten, Seiser Alm is located amidst the fascinating mountain world of the Dolomites, which was declared a UNESCO World Natural Heritage Site in 2009. 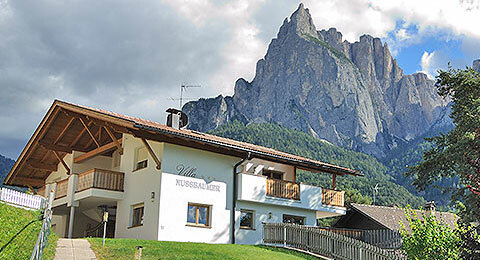 At Seiser Alm you will bear witness to a wonderful interplay of nature – the blooming alpine meadows, green forests, and an incredible panoramic view of the Dolomites will make your holidays an unforgettable experience. 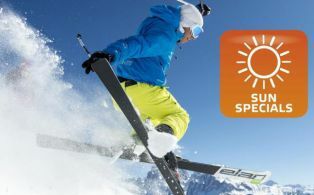 The best way to discover Seiser Alm is in a sporty way: In summer, the Seiser Alm holiday region offers plenty of opportunities for hiking, climbing, mountain-bike tours, golfing, swimming, horse riding and more. 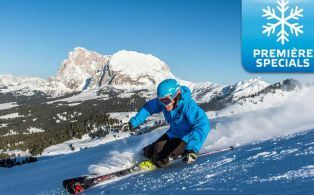 In winter, Seiser Alm attracts visitors with varied choices for skiing and snowboarding at all levels of difficulty, and for cross-country skiing, ski tours, snow-shoe hikes, sledging and winter hiking. 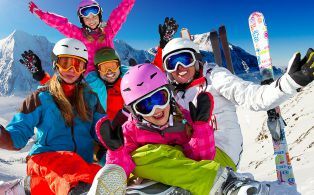 The Seiser Alm ski resort is part of the large ski carousel Dolomiti SuperSki With a single ski pass, you have access to all 12 ski resorts in the Dolomites.